Reviews are by Brian Wilson unless otherwise stated. DL News 2015/5 is here and the Download News archive here. Any reservations which I express below should be regarded in the light of my overall statement that I have found classicsonlinehd.com very useful - much more so, indeed, than the Naxos Music Library, from the same Naxos stable, though that offers a gateway to more labels and is far from superseded. The old, mostly mp3-only, classicsonline.com has now been replaced with classicsonlinehd.com (COL:HD), offering streaming and downloads in lossless sound – some also in 24-bit. Like most sites offering 24-bit, there’s a premium price to pay – typically where the 16-bit costs a reasonable £7.99 the 24-bit sells for twice that price at £15.99, a rather higher mark-up than most download sites apply. If you look at my review of the Nielsen symphonies below you’ll see that COL:HD are charging £47.99 for the LSO/Colin Davis set, without even the booklet, which can be obtained as a set of three SACDs and one blu-ray audio for £15.99 or less. 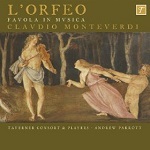 Even more incredibly, the Naxos Historical Archives recording of Monteverdi’s L’Orfeo (August Wenzinger, 1955), which used to sell for £3.98 on the old classicsonline.com, now costs £15.99, as does the decent but frankly uncompetitive Sergio Vartolo recording on a more recent Naxos release which used to cost £9.98 on the old COL. I’m far from trying to dissuade listeners from streaming the Wenzinger, however, which was the introduction to L’Orfeo for many but the Qobuz download at £4.79 is a much more tempting offer to download. Emusic.com have it for even less at £2.52, but in low-bit mp3. COL:HD’s monthly subscription of £11.99 is less expensive than Qobuz but at the moment Qobuz offer a wider range of labels and they also have a £4.99 per month option for those happy with 320kbs mp3. COL:HD don’t yet have the same range as the older Naxos Music Library (NML), still available from the same stable who also offer labels such as Sony and RCA, albeit that the best quality streaming there is only at 128kbs. Otherwise the new facility, like Qobuz, combines the functions of NML and the old COL and does so with much better quality streaming than NML, which in addition to being at a low bit-rate inserts gaps between tracks. If you don’t have a super-fast connection, however, you may have to choose to throttle back 24-bit downloads via the ‘settings’ menu. 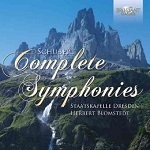 There are some genuine bargains to be had: the complete SCHUBERT symphonies, for example, from the Dresden Staatskapelle conducted by Herbert Blomstedt may not have the magic and charm of Beecham’s recordings of Nos. 3, 5 and 6 (EMI/Warner) or be as lithe as some period-instrument performances but it is a very worthwhile bargain on Brilliant Classics 94693 (4 CDs) for £7.99. The ADD recordings sound much more than serviceable and the performances make a good substitute to the Abbado set (DG – sample/stream/download from Qobuz) for the cash-strapped. See review of the CDs by Albert Lam. COL:HD need to rethink their asking prices, however, in several other cases, though they are not the only ones in that position: it’s not unusual to find more being charged by the same provider for a download than for the CD: theclassicalshop.net (TCS) and Amazon are serial offenders, the latter especially so. TCS typically charge £7.99 for mp3, £9.99 for 16-bit, £13.99 for 24-bit and a whopping £19.99 for 24-bit surround-sound, making them less attractive than COL:HD for 16-bit but more attractive for 24-bit: oddly enough the difference is +/-£2 in each case. Often no allowance is made for special offers such as the fact that the recent Ondine Brahms Piano Trios, running to just 82 minutes but taking two CDs, is offered by dealers as 2-for-1 (see below). Hyperion offer their own and Mariinsky full-price recordings as downloads for £7.99 (mp3 and 16-bit) and £12.00 (24-bit). Their budget-price Helios downloads, some Signum recordings and Mariinsky multi-CD sets per disc sell for less. There are some anomalies here, too, with LSO Live often more expensive in 24-bit than the equivalent SACDs, which now often also include a blu-ray audio disc. If the overall pricing policy is confusing enough, for individual recordings it can be a nightmare trying to work out who is the least expensive provider. 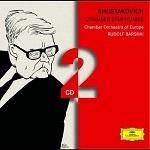 The recent Harmonia Mundi recording of the Rudolf Barshai arrangements of Dmitri SHOSTAKOVICH (1906-1975) Chamber Symphonies Op.49a, 110a and 118a costs $14.48 (mp3 and 16-bit)/$17.38 (24-bit) from eclassical.com, who charge per second, which makes COL:HD’s price for 16-bit very competitive but the 24-bit far less so at current exchange rates (Dmitri Ensemble/Graham Ross – rec. April 2014, St John the Evangelist, Upper Norwood, London: HMU907634 [64:42]). At £9.19 (16-bit) the Qobuz download is more expensive than from COL:HD but the 24-bit at £13.19 falls between the two stools. Sorry if that all sounds complicated – it just is. 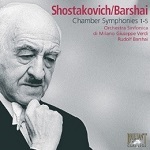 COL:HD also have Rudolf Barshai’s own 2005 recording of all five Chamber Symphonies for £15.99. The Orchestra Sinfonica di Milano Giuseppe Verdi is hardly the world’s finest exponent of Russian music but they play well enough for Barshai and the recording is good enough for enjoyment. I streamed and enjoyed this album but I can’t recommend the 16-bit download at £15.99, without booklet, when the CDs can be obtained for less than £9. Yet another anomaly here: prestoclassical.co.uk sell the CDs for £8.75 yet charge £9.75 for the lossless download – without booklet, too, as far as I can see. 7digital.com have this for £5.49, but in 320kbs mp3 only. (Brilliant Classics 8212). Barshai’s earlier DG recording of these works is available as a budget twofer and comes with altogether better playing from the Chamber Orchestra of Europe (4775442). Download for £9.99 in mp3 from 7digital.com; all lossless downloads that I have been able to find save only pence over the CDs – target price £13.50. For Naxos recordings the COL:HD price is £5.99 – about what you might expect to pay for the equivalent CD – rising to £9.99 for 24-bit. I listened to the 24-bit streamed version of the recent recording of Jean SIBELIUS (1865-1957) Overture in a minor [6:58], Kuolema [24:14] and King Christian II [35:19], for example, performed by the Turku Philharmonic Orchestra/Leif Segerstam (8.573299 [71:15]). I enjoyed hearing it, but though I liked the soloists, Pia Pajala and Waltteri Torikka and the 24/96 sound is very good, I thought the performance a little subdued overall. One online dealer currently has this reduced from £6.25 to £5.00, so nothing to be gained by downloading, but the COL.HD price compares well with eclassical.com’s asking price of $12.83 (mp3 and 16-bit)/$19.24 (24-bit). The best price of all for this album as a download comes from Qobuz, who offer this and other Naxos releases in 16-bit for £4.79 and 24-bit for £7.19. All three suppliers offer the pdf booklet. That brings me to another problem not unique to COL:HD – the provision or otherwise of booklets. 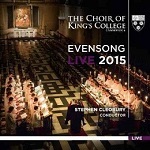 Both classicsonlinehd.com and Qobuz offer the new Evensong 2015 recording from King’s College Cambridge, directed by Stephen Cleobury, for streaming and for downloading at £7.99, but neither provides the booklet. As something of a specialist I know, for example, the text of the opening piece, Tallis’s Loquebantur variis linguis, can find it in my copy of the Latin Vulgate, can translate it and know that it’s associated with Pentecost (Whitsun) when the Apostles, under the influence of the Holy Spirit, spoke in such a way as to be understood by all their hearers, from various linguistic backgrounds. With Latin no longer taught even in most selective schools and my edition of the Vulgate long out of print, however, that’s not something that can be taken for granted any more. That apart, I enjoyed hearing this new recording. Incidentally, Qobuz have the earlier King’s/Cleobury recording of music for Evensong and Vespers (Brilliant Classics) for £4.99 and for £5.97 the EMI Encore recording of Evensong Live which I reviewed some time ago – no booklet again with either. La Bele Marie: The music of PÉROTIN and the school known as Ars Antiqua is performed by Anonymous 4 on HMG507312 [66:31]. Qobuz have this in lossless sound for an attractive £6.49 but the absence of a booklet is a real problem: unless you are acquainted with the schools of 13th-century music you will need some help with understanding what is on offer and though you can scrape together most of the texts online, you’re unlikely to find them all in one place. You really need the CD here – target price £9 but one dealer is currently offering it for £6.75. 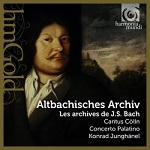 Altbachisches Archiv: music by Bach’s ancestors, preserved in his own archive: HMG501783/84 Concerto Palatino/Konrad Junghänel [152:49] (2 CDs for about £11 on disc or £8.59 from Qobuz; £6.45 in mp3 or £8.40 in lossless from Presto Classical). The music may be nowhere near a match for JSB’s own but this is an interesting reissue for specialists. Review of original release. Joseph HAYDN (1732-1809) Piano Trios Nos. 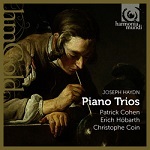 32-37 (Hob.XV:18-22) are performed on period instruments by Patrick Cohen, Eric Höbarth and Christophe Coin on HMG508298/99 [113:57] (2 CDs). These trios are not over-represented in the catalogue, though the classic 9-CD Beaux Arts Trio set of all 46 is a notable bargain, currently at £29.18 from Amazon UK (Philips 4540982). (Crazily, the Amazon mp3 download costs much more, at £51.49). Harmonia Mundi had already reissued this set (HMX2968298/89) and Qobuz have that 2009 reissue for £6.29: go for that rather than the new release at £8.59. Both are far less expensive than eclassical.com’s $25.64. No booklet with either. There’s another Harmonia Mundi recording of Piano Trios 25-27 from the same team on budget-price HMA1951277 – there doesn’t seem to be a download. If you don’t need period instruments, don’t forget the two very fine Hyperion recordings which the Florestan Trio made: Nos. 38-40 and 43 (Hob.XV:24-27) (CDA67719: from Hyperion, mp3 and lossless, with pdf booklet – review) and Nos. 41-42, 44-45 (Hob.XV:28-31) (CDA67757: from Hyperion, mp3 and lossless, with pdf booklet – Hyperion Top 30). 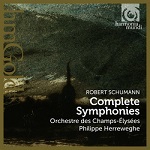 Robert SCHUMANN (1810-1856) Complete Symphonies are performed on period instruments by the Orchestre des Champs-Elysées and Philippe Herreweghe on HMG508190/91 [132:04] - £8.59 from Qobuz: no booklet. Nos. 2 and 4 have been reissued before on the budget-price Harmonia Mundi D’Abord label (HMA1951848 – review) but that’s no longer available. There is much to be gained from the use of period instruments in terms of clarifying Schumann’s orchestration, so frequently criticised when performed on modern instruments, though I wouldn’t want to be without the Wolfgang Sawallisch set, which also includes the Overture, Scherzo and Finale (EMI/Warner 5677682) or Rafael Kubelík (DG Originals 4778621, with Genoveva and Manfred Overtures). Josef Krips’ wonderful account of No.l with the LSO, once available with No.4 or on its own on a 10” stereo LP, has been reissued by Australian Decca Eloquence 4804325, with No.4 and Brahms Symphonies 1 and 4. Qobuz have a very inexpensive (£1.39) if slightly shrill BFN reissue of this recording of No.1. No other recording – including the Herreweghe – offers quite such a stirring call to Spring at the start of the first movement. For this and two recent Schumann symphony recordings, please see DL News 2014/11. John Eliot Gardiner, with the period-instrument Orchestra Révolutionnaire at Romantique steals a march on Herreweghe by including both versions of Symphony No.4, the Konzertstück, Overture, Scherzo and Finale, and the ‘Zwickau’ Symphony, but runs to 3 CDs in the process (DG 4575912 ). One of the best recordings of Igor STRAVINSKY (1882-1971) Les Noces, coupled with his Mass and Cantatas I-VII is reissued on HMG501913 [66:18]. The performances, with Berlin forces, are directed by Daniel Reuss but once again the eclassical.com download at $14.92 simply is not competitive, even for US purchasers, and the texts are not provided. Qobuz have this for £6.29 but again there are no texts so I advise choosing the CD – target price £9 or $14 but one dealer has it for a limited period at £6.75. 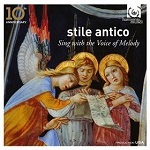 Sing with the Voice of Melody: On another inexpensive Harmonia Mundi reissue Stile Antico celebrate their tenth birthday with a CD of their favourite tracks (SACD HMU807650 for about £8.50). Sample/stream/download in lossless sound from Qobuz for £6.29 (16-bit only, so not equivalent to the SACD). This time the booklet comes as part of the deal but I must warn that the sampler is likely to lead you to the recordings from which the tracks are taken, all of which have been received with praise by my colleagues and myself and which are available to download from eclassical.com in mp3 and lossless, some in 24-bit, with booklets. 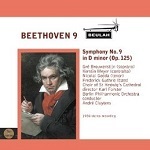 André Cluytens conducting the Berlin Philharmonic in BEETHOVEN’s Symphony No.9 (Choral) has appeared before on Beulah Extra releases but it’s now available as 2PDR13 [72:37]. With a very able quartet of soloists – Gré Brouwenstijn, Kerstin Meyer, Nicolai Gedda and Frederick Guthrie – and St. Hedwig’s Cathedral Choir this 1958 ADD/stereo recording was well worth reviving, especially as it’s otherwise imprisoned in a 5-CD EMI/Erato box set. We no longer need to worry about side-breaks which fall at awkward points, as was the case with the original LP issue: it used to be enough of an achievement to fit the Choral Symphony on one disc. The performance is good throughout: if I’m being hyper-critical, the first movement is a little slow and portentous and the scampering scherzo a shade on the fast side, but Beethoven often is pompous, so these are hardly major faults. The singing in the finale is very good and the Beulah transfer a big improvement on the original LP, with its grooves so dangerously close-packed in the loudest music at the end of side 2. From Amazon UK or iTunes. Another reissue features Hans Richter-Haaser as soloist in Beethoven’s Piano Concerto No.5 (Emperor), with István Kertész conducting the Philharmonia Orchestra and coupled with Symphony No.5 (Berlin Philharmonic Orchestra/André Cluytens) on 1PDR13. 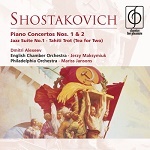 The Concerto is already available on 1-2BX173 – see DL Roundup August 2012/1 – a safe recommendation, which doesn’t mean stodgy, in a good transfer of the 1962 release. The Cluytens performance of the Symphony, which I reviewed on 5-7BX82 in January 2011 is even better – little inferior to the classic Otto Klemperer (EMI mono) and Carlos Kleiber (DG) recordings. From Amazon UK or iTunes. Václav Talich recorded Antonín DVOŘÁK’s Stabat Mater in 1952 with Drahomíra Tiklová (soprano), Marta Krásová (contralto), Beno Blachut (tenor), Karel Kalaš (bass), the Kühn Children’s Chorus, Prague Philharmonic Choir and Czech Philharmonic Orchestra. It’s reissued on 1PDR13 [83:53] Not surprisingly, in view of the classic status of this recording, it’s one of Beulah’s best sellers, even though the sound – on six 78 sides – was not good even for its time. Beulah have done the best possible to make this bearable, especially in reducing 78 hiss and crackle to almost zero without losing anything else. The solo voices, always the strong feature of the recording, come over well. Perhaps in recognition of the inevitably dated sound, Amazon UK offer it for just £6.49; it’s £7.99 from iTunes. Alec Robertson’s 1953 review noted that Beno Blachut, excellent elsewhere, sounds strained in No.6, Fac me vere. Clearly a bad-hair session which should have been re-taken, though I hesitate to echo AR’s expression, ‘as if a lump of suet pudding had stuck in his throat’. Does anyone eat suet pudding anymore? 1PDR11: A Beulah release entitled The Waltz [65:35] brings together performances of WEBER’s Invitation to the Dance (Chicago SO/Fritz Reiner, also available separately on 9BX276), Johann STRAUSS II’s Tales from the Vienna Woods (Hallé/Sir John Barbirolli), Blue Danube, Voices of Spring and Emperor Waltz (VPO/Willi Boskovsky) TCHAIKOVSKY Swan Lake and Sleeping Beauty Waltzes (Philharmonia/Efrem Kurtz) and The Nutcracker: Waltz of the Flowers (Sinfonia of London/John Hollingsworth). Collections such as this used to be common on LP, though not usually from such a variety of sources, and I imagine that many will be tempted to purchase this from AmazonUK and iTunes. The Boskovsky performances are particularly treasurable; though they remain available in several Decca all-Strauss concoctions their inclusion here is very welcome. The other items, too, are enjoyable and the recordings have all come up well. 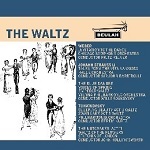 You may also be tempted to go for another Beulah release, The Waltz King, offering the music of Johann Strauss II. Sample/stream from Qobuz, who also offer the least expensive download at £4.79. Reiner’sEmperor Waltz, Morning Papers and Blue Danube are also available separately on Beulah 1-3BX276. Those are recent releases but I have some catching up to do with some earlier Beulah recordings which have slipped through the net. 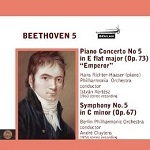 1BX281: Overture and Turkish March from BEETHOVEN’s The Ruins of Athens, Op.113 (Monte Carlo Opera Orchestra/David Josefowitz [6:50]). I’m not sure of the date or provenance of this recording but these performers recorded for the Concert Hall label in the 1950s and 60s. Decent performances and recording but neither is anything special. 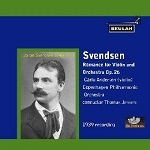 2BX161 The SVENDSEN Romance for Violin and Orchestra, Op.26, was recorded by Carlo Andersen (violin) with the Copenhagen PO and Thomas Jensen in 1939. It’s a tender performance of a work that doesn’t deserve to have slipped out of fashion – the two most accessible recordings, from Grumiaux (Eloquence) and Suk (Supraphon) are not exactly recent – and the recording has come up extremely well for its age, with just a touch of 78 crackle in the quieter moments. Neither soloist nor conductor lays on the schmaltz too thick, so this remains as tasteful as it was judged to be in 1940. 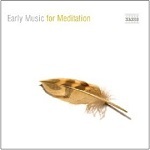 Early Music for Meditation (8.557652 [63:24]) is a compilation of music from other Naxos albums and the free download – mp3 only – is included with the June 2015 newsletter from theclassicalshop.net. If you haven’t signed up, why not do so? The vocal and instrumental music ranges from traditional Arabic and Hebrew melodies via the medieval Carmina Burana – the original, not the Orff settings – to renaissance composers Arcadelt, Byrd, da Milano, dell Aquila, Tabourot alias Arbeau and Josquin and on to the baroque: Monteverdi and Buxtehude. Full marks to theclassicalshop.net (mp3 and lossless) for including the pdf booklet but serious black marks to Naxos for making that book pretty useless, without even telling us the names of the performers, all good enough to deserve to be named, especially Shirley Rumsey (vihuela, guitar, lute and voice) who provides several of the tracks and the Oni Wytars Ensemble. The booklet even gets the timing wrong: 63:24 not 65:24 as stated. All in all, though this is well worth having as a freebie you would probably be better off with the constituent albums or with the medieval Venetian music reviewed below or, best of all, Gothic Voices’ wonderful recording of the music of Hildegard of Bingen, A Feather on the Breath of God (Hyperion CDA66039, budget-price as a download with pdf booklet, or 3-CD set CDS44251/3). Venecie Mundi Splendor: Marvels of Medieval Venice – Music for the Doges 1330-1430 features Venetian music from an earlier period than you may be accustomed to; apart from Landini and Ciconia none of the named composers will be at all familiar and some of the music is anonymous. Alongside monophonic settings are the origins of full-blown polyphony a century or more before its full flowering. The performances by La Reverdie are good – often reminiscent of the style of Gothic Voices, which I regard as high praise – but with a good deal of instrumental support which sometimes gets in the way of the vocal music, though the instruments are recorded with the aural equivalent of soft-focus photography. In any case diction is not of the best – sometimes that’s unavoidable when several of these works have two texts – but the clarity and beauty of the singing amply compensates. If this album appeals, I recommend following up with an inexpensive 4-CD set on Brilliant Classics of the Laudario di Cortona which I reviewed some time ago (94872). Sample/stream/download from Qobuz, but it won’t save much over the cost of the CDs and there is no booklet. Listening to Claudio MONTEVERDI’s (1567-1643) Madrigals from the early Books 1-3 in a selection from Les Arts Florissants on their own label you might well think them so perfect that no improvement would be possible. Improve on the perfect he did in the later books, especially in Book 8, but that certainly does not mean that the earlier works are not worth hearing. My own favourite performances remain those of the individual books by Concerto Italiano and Rinaldo Alessandrini – Book 2, for example (OP30487), available from Classicsonlinehd.com and Qobuz* – but the new Arts Florissants runs them pretty close, especially if you prefer just a single CD of excerpts from the earliest books. Slightly confusingly, it’s labelled Volume 1 – Cremona (AF005 – from eclassical.com, mp3, 16- and 24-bit lossless, stream from Qobuz, both with pdf booklet containing texts and translations), Volume 2 – Mantua, with madrigals from Books 4-6, having already appeared (AF003 – DL News 2014/12). NB: the link for AF003 says ‘emusic’ – that’s a typo for eclassical and that’s where clicking it will take you, correctly. * £7.99 from COL:HD with ‘liner notes’ containing texts and translations. Less expensive, at £5.59 from Qobuz, but no booklet. Unbelievably, most of the Alessandrini recordings on Naïve are now download only or the CD is out of stock. That even applies to their multi-award-winning complete Book 8, formerly available as 3 CDs for the price of 2 and a real bargain at £7.99, albeit without booklet, from Qobuz. It’s £23.99 from COL:HD, again without booklet. Jordi Savall’s 2002 recording of L’Orfeo, which has been available on DVD for some time – review – returns in audio form only on a pair of Alia Vox SACDs (AVSA9911 – sample/stream/download with 405-page pdf booklet including text and translation from Qobuz for £11.99/£17.99, 16- and 24-bit respectively, a useful saving on the cost of the discs). Freed from visual distractions – Savall entering in flowing gown and a set like a hall of mirrors – the reservations about Furio Zanasi’s rather insipid Orfeo also seem less important, though Sara Mingardo as the Messenger out-sings both him and Arianna Savall as Euridice. This is well worth hearing and very well recorded though I prefer another recent release from Charles Daniels (Orfeo), Faye Newton (Euridice), Emily van Evera (Messenger), the Taverner Consort and Players and Andrew Parrott (Avie AV2278 – from Qobuz, with pdf booklet). I mentioned this some time ago but seem to have failed to keep my promise of a detailed review. My favourite, directed by Charles Medlam, originally EMI Reflexe and later Virgin Classics, remains available to sample/stream/download in lossless sound for £9.09 from Qobuz or £5.99 in mp3 from sainsburysentertainment.co.uk – no booklet with either, but text and translation are easy enough to find online. Also well worth seeking out is the classic John Eliot Gardiner recording (DG Archiv 4192502 – sample/stream/download in lossless sound from Qobuz or, less expensively but mp3 only, 7digital.com: no booklet from either). 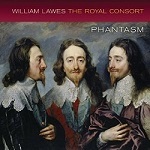 Since I reviewed the Phantasm 2-SACD set of The Royal Consort from a 24/96 download on the main pages, it may seem perverse to mention the SACDs in Download News, but I received the physical product after writing that review. As I anticipated, having compared Linn SACDs and 24-bit downloads before, the HD stereo layer on the discs is virtually indistinguishable from the download. If there is a slight advantage in openness to the SACDs it’s probably attributable to the fact that the DACs in my SACD and blu-ray players are marginally better than the Dragonfly DAC which I use with my computer. There’s one grumble about the SACDs which I must mention: the booklet is so tightly wedged into its pocket within the triptych which houses the discs that I found it impossible to get it in and out without tearing it. Otherwise this is a very desirable release in any format. You should be able to find the SACDs from Amazon UK and Amazon US for rather less than the £18 which Linn and Hyperion charge for the 24/96 download but if you are happy with 16-bit lossless the download is less expensive (£10). For details of this recording of important new discoveries set before us in excellent fashion, please see my review. 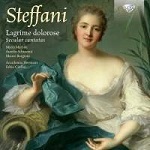 Preparing Johan van Veen’s appreciative review of Agostino STEFFANI (1654 - 1728) Vocal Chamber Duets for the web led me to listen and enjoy as streamed from Qobuz 1: Elena Bertuzzi (soprano), Alessio Tosi (tenor), Rebecca Ferri (cello), Michele Pasotti (theorbo), Francesco Baroni (harpsichord), rec. 19-22 June 2014, Chiesa di San Celestino, Pietole, Mantua, Italy. DDD BRILLIANT CLASSICS 94969 [50:23]. There are no texts, but none with the CD either, though they are available from the Brilliant Classics web site. 1 Non-subscribers sample only. I can’t recommend purchasing from there – at the time of writing they are asking almost twice what you might expect to pay for the super-budget CD. If you are happy with 320 kb/s mp3 or m4a, try 7digital.com, but even their lossless version costs at least as much as you can expect to pay for the CD. 2 caveat emptor: while this recording is excellent value from emusic.com, their per-track chraging policy means that some of their downloads cost over £30 – for CDs which sell for a fraction of that price. 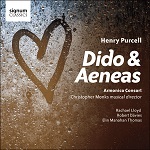 There now are more very good performances of Dido and Æneas than you can shake the proverbial stick at. A new entrant on Signum must join the classic Janet Baker/Anthony Lewis recording (Decca), the Avie reissue of the Emily van Evera/Andrew Parrott from 1999 (AV2309) and more recent entrants such as Sarah Connolly/Elizabeth Kenny (Chandos) to name but three. Without trying to assign a pecking order, the new recording from Rachael Lloyd, Robert Davies, Elin Manahan Thomas, the Armonico Consort and Christopher Monks – a strong cast and direction and a fine recording – is another serious contender. (SIGCD417 – from hyperion-records.co.uk, mp3, 16- and 24-bit lossless, with pdf booklet containing texts). See 2014/8 for the van Evera/Parrott and other recommendable recordings. 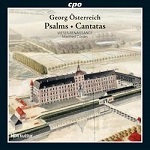 The Psalms and Cantatas of Georg ÖSTERREICH (1664-1735) were as new to me as I’m sure they will be to you. A new recording by Weser-Renaissance Bremen/Manfred Cordes (CPO 777944-2 [67:04]) marks his only representation in the current catalogue and I don’t think there have been any earlier recordings. The music, performances and recording are good enough to make me hope that we shall have more of his music from these distinguished performers or others. The download from eclassical.com (mp3 and lossless) comes with the pdf booklet containing texts, German and Latin, and translations but without the rear insert which gives the date of the recording (4 May 2014). That’s available from Naxos Music Library, where the music can be streamed by members. 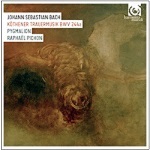 Johann Sebastian BACH (1685-1750) Köthener Trauermusik, BWV244a (1729) is a reconstruction of the Funeral Music for Prince Leopold of Anhalt-Cöthen by Morgan Jourdain in collaboration with Raphaël Pichon. The performers are Sabine Devieilhe (soprano), Damien Guillon (counter-tenor), Thomas Hobbs (tenor), Christian Immler (bass), with Ensemble Pygmalion/Raphaël Pichon on HARMONIA MUNDI HMC902211 [73:53] – from eclassical.com (mp3, 16- and 24-bit lossless, with pdf booklet containing texts and translations) or sample/stream from Qobuz. Three of my colleagues have said about all that there is to say about this recording – review – review – review – so I need only steer you towards the availability of the download. The 24-bit version costs $19.92, which is more than you would pay for the CD but in the absence of an SACD equivalent it’s the only way to obtain better-than-CD quality. UK and European readers will find the 16- and 24-bit downloads from Qobuz about equivalent in price to the eclassical version at current exchange rates. The earlier reconstruction, recorded by Andrew Parrott on Avie, which John Quinn likes alongside the new recording, can be sampled/streamed/downloaded from Qobuz. (No booklet). 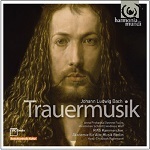 Type ‘Bach Trauermusik’ into a search engine and there’s another Harmonia Mundi recording, this time of the music of Johann Ludwig BACH (1667-1731), a distant cousin whose funeral music dates from 1724 (HMC902080 – review and details). John Quinn, who described this as a remarkable composition, made it a Recording of the Month. 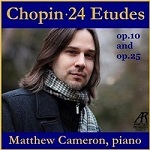 From eclassical.com (mp3, 16- and 24-bit lossless, no booklet). Sample/stream from Qobuz or stream from Naxos Music Library, both with pdf booklet. 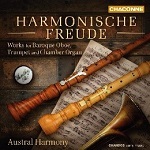 Harmonische Freude: Austral Harmony perform arrangements for baroque oboe, oboe d’amore, natural, slide and modern trumpet and chamber organ by Johann Sebastian BACH, his pupil Johann Ludwig KREBS (1713-1780) and their contemporaries Gottfried HOMILIUS, Christian TAG and Georg KAUFFMANN on Chandos Chaconne CHAN0809 [64:28] – from theclassicalshop.net in mp3, 16- and 24-bit lossless, with pdf booklet. The arrangements are mostly of chorale preludes but include a Bach organ trio, BWV527, and a sonata for oboe solo con basso by Homilius. Though the booklet establishes the use of such practice, with the oboe or trumpet effectively employed as an extra stop and the organ featuring largely as continuo, mainly employing the ‘darker’ stops so as not to compete with the brighter tones of the solo instrument(s), I was sceptical until I heard the results. I wouldn’t wish to hear the organ music of this period played this way always, yet I found the result here very entertaining. The quality performances are supported by very good recording – especially the 24-bit, though the mp3 is also very good of its kind. Assuredly we did not need another recording of the Beethoven Violin Concerto to add to those listed in MWI Recommends but, while this new recording does not challenge those at the very top of the list, it’s certainly very far from routine and it’s coupled with a live recording of Symphony No.8 that is also far from routine, indeed one of the best that I’ve heard since being introduced to the work by Bruno Walter’s mono recording with the NYPO. The reason why I’m a little lukewarm in my response is that it cuts across other recommendations – the Violin Concerto logically coupled with Beethoven’s two Romances or with another violin concerto, Symphony No.8 an obvious companion to No.7. 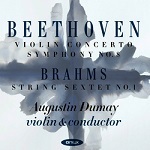 Likewise the enjoyable but not outstanding Brahms Sextet on its own makes for a very short second CD. On disc that comes as a bonus, but download sites don’t always pick up such bonus offers, so that Qobuz’s £11.99 (£17.99 for 24-bit) represents little if any saving over the physical product. Eclassical.com, as usual, miss the 2-for-1 point altogether: normally their per-second charging policy delivers a competitive price, but it fails them with budget and 2-for-1 releases – in this case $24.06/$28.87 for mp3 and 16-bit/24-bit respectively just isn’t competitive, even with the pdf booklet thrown in and a very good quality 24/96 transfer, but even this better than COL:HD’s £31.99 for 24-bit, without booklet. Unless you must have a 24-bit version, in which case Qobuz seems the best bet, booklet included, I’d recommend staying with the CDs. A new recording of two late Piano Sonatas by Franz SCHUBERT (1797-1828), D894 and D960 by András Schiff on a fortepiano would not be my first choice but it is well worth having as an adjunct to recordings on the modern piano, of which Alfred Brendel, Imogen Cooper and Clifford Curzon remain my top choices for the wonderful D960. The D780 Moments Musicaux and Impromptus, D935, are among the fillers on a recording which casts a very useful light on how these works would have sounded in Schubert’s time. Please see my full review of ECM 4811572/2425-6 (2 CDs), most economically downloaded from 7digital.com, albeit without booklet. Sample/stream, with booklet, from Qobuz. 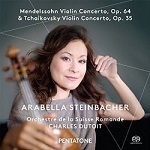 Even if you have other versions of these oft-recorded works, perhaps differently coupled, you should consider this new recording – please see my full review. Geoffrey Molyneux thought this ‘up there with the very best available’ recordings – please his review and my few extra thoughts. My favourite recording, from Sir Thomas Beecham on EMI having been deleted, though the twofer with Psalm 18 plus Les Préludes, Tasso and Orpheus conducted by Constantin Silvestri remains available to download – sample/stream/download from Qobuz – the DG Originals from the Boston SO and Leonard Bernstein offers a good substitute. Though it will be too late to take advantage of the discounted price for the DG of £4.74 from Qobuz by the time that you read this, at the regular price it’s still worthwhile. If you are happy with mp3 at the top bit-rate, 7digital.com have the Beecham for £6.99 and the Bernstein for £2.97. The latter looks like a mistake, so I’d snap it up while you can. No booklet with either of these. 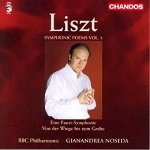 Though the DG still sounds well, devotees of 24-bit sound and those who like tempi a little faster than Bernstein’s should consider Chandos CHAN10375 where the symphony, minus the choral ending, is joined by Von der Wiege bis zum Grabe in persuasive performances from the BBC Philharmonic and Gianandrea Noseda. 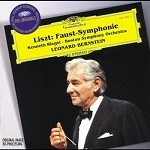 Download from theclassicalshop.net (mp3, 16- and 24-bit lossless, with pdf booklet). 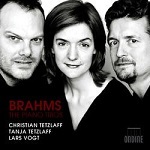 Johannes BRAHMS (1833-1897) Piano Trios are awkward in that they don’t quite fit on one CD. 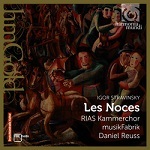 The classic Decca recording with Suk, Starker and Katchen can be obtained with only Nos. 1 and 2 but you may prefer them on a Double Decca bargain twofer with No.3 and the second Cello Sonata (4480922 – sample, stream/download from Qobuz or in mp3 from 7digital.com ). Others add extra Brahms chamber music, of which you may already have a recording. The Florestan Trio, for example, on a splendid Hyperion budget-price twofer recorded in 1997, also offer the Horn Trio, with Stephen Sterling and the Clarinet Trio, with Richard Hosford (CDD22082 [136:58] – DL News 2014/14). David Barker sets out the situation in his survey of the Piano Trio repertoire – B Composers Part 2. 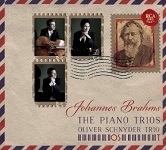  Sony/RCA 88875087422 [121:47] Oliver Schnyder Trio, recorded in 2014, offers just the three trios on a mid-price 2-CD set but includes both the original (1854) and revised (1891) versions of No.1. Sample/stream/purchase from Qobuz in 16- or 24-bit lossless, with pdf booklet. My favourite of these three trios is No.2, Op.80, and the first two movements make excellent places to sample any recording. Though a trifle cool in places, the Florestan Trio deliver plenty of power in the first movement without forcing the music. The new Ondine recording opens with Op.87 and though the Tetzlaffs and Vogt are a few seconds faster than the Florestans they don’t quite generate the same amount of energy. Nor is the Ondine recording quite so immediate, even in 24-bit sound as against the 16-bit Hyperion. The Schnyder Trio are faster still; though they avoid sounding breakneck they sometimes miss some of the subtleties of the music here and in some of the other trios. These are young players’ performances and I prefer the more mature Florestan approach, though I know that others will call it the other way round. The 16-bit download from Qobuz – sample/stream there, with pdf booklet: it’s also available in 24-bit – is very good but again I marginally prefer the Hyperion. The Schnyder recording of the allegro energico opening movement of Op.101 is extremely exciting and at 6:30 the performance is faster than the Ondine (7:07) or Hyperion (7:09). There’s energy aplenty here but the Florestans are hardly less energetic without quite hammering the music so much. Suk, Starker and Katchen give the music even more time to breathe at 7:39 without losing any of the music’s power. In both of these test movements my preference remains with the Florestan Trio, with the Tetzlaffs and Vogt pursuing an attractive middle course between the exuberance of the RCA and the more considered Hyperion. All three are well recorded but the older Hyperion is by no means outshone: if anything, it’s just the opposite. This album has had mixed reviews on the main site; the most recent is by Michael Cookson, who felt it promised much but delivered little. I listened to it in preparation for my review of Reference Recordings’ new Saint-Saëns collection and also found it wanting. The playing in the symphony is just too cautious for my tastes; also, the newly restored Cavaillé-Coll in the Auditorium de Lyon doesn’t have the sheer presence of, say, the Chartres Cathedral organ used in Daniel Barenboim’s classic version (review). The Lyon orchestra are no match for the Chicagoans, and the Naxos sound is not as immersive as some. 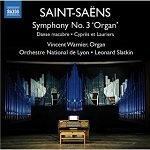 For a reviving account of this well-worn piece I’d recommend the live recording with Yannick Nézet-Séguin and the London Philharmonic; James O’Donnell, on the restored Royal Festival Hall organ, is simply marvellous (review). Leonard Slatkin’s fillers are more pleasing, though: the Danse macabre is nimbly done, even if it doesn’t efface memories of Noel Rawsthorne on a CD of organ lollipops I once owned. Cyprès et Lauriers (Cypresses and Laurels) is new to me; commissioned to celebrate the end of the First World War it’s a large-scale piece with jaunty martial echoes that really shows off the heft – and Stygian pedals – of this fine instrument. Terrific fillers, imaginatively played; there are much better versions of the symphony, though. 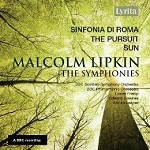 Curiously, Naxos compete with themselves with a recent 24/96 release of Symphony No.3 with the Symphony in A which I streamed from classicsonlinehd.com (8.573139 Malmö SO/Marc Soustrot [71:39]). The finale has plenty of power but the organ is either disappointing in itself or placed too far backward by the engineers to be really impressive. Zamkochian and Munch with the Boston SO (RCA Living Stereo, with Debussy La Mer, etc.) still take some beating in this symphony – with the CD immured in a monster box it’s better to sample/stream/download from Qobuz. 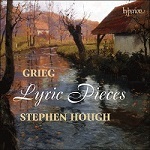 Stephen Hough is one of several thoroughbreds in Hyperion’s stable of artists. I declared his French Album a disc to treasure; as it happens Dominy Clements felt the same way about the CD version of Hough’s Lyric Pieces (review). Minutes into the Grieg and it’s easy to see why. I’ve always been fond of Emil Gilels’ classic DG recording of these lovely miniatures; patrician the playing may be, but there’s a clarity to his playing that’s very impressive indeed. Hough’s thoughtful and varied selection has as much to do with the success of this album as the playing itself. Delicacy follows declamation as passion succeeds poise, and one has to marvel at Hough’s fine control of touch and dynamics. Rhythms are expertly judged as well, and there’s no sense of the music being tugged about to unnecessary effect. He has a real feeling for Grieg’s phrases, and even those recurring motifs – which in lesser hands can seem almost redundant – seem an integral and necessary part of the developing narrative. There’s nothing added or subtracted here; all you get is glorious, glowing Grieg. Factor in a recording that even by Hyperion’s stellar standards is rather special and you have an album that will delight piano- and audiophiles alike. Indeed, I’ve lived with this fabulous release for several weeks now, and I’m confident it will be high among my Recordings of the Year. Playing of the highest order; class-leading sound, too. (Please see also Geoffrey Molyneux’s enthusiastic review, due to appear on the main pages). You can also find Dan Morgan’s review of a new recording of the Grieg Piano Concerto and a selection of the Lyric Pieces. (Harmonia Mundi HMC902205 [70:02]). I must admit to being ambiguous about my ultimate reaction to this recording: I’m not surprised that Dan warmed to it or that BBC Radio 3 made it CD of the week, but I’m equally not surprised that another BBC reviewer, in their Music Magazine, was much less enthusiastic. If you heard the concerto on the radio and wanted a good recording, I doubt that you would be disappointed, especially with the 24-bit download from eclassical.com, but it’s still the older recordings by Clifford Curzon, Stephen Kovacevich and more recently Leif-Ove Andsnes that top my list. Curzon is hard to come by on CD: he was too reticent to be a star performer; the Decca budget-price Headline Classics release dropped out of the catalogue long ago and the multi-disc reissues are also download only, but prestoclassical.co.uk have produced their own licensed pressing of Decca Classic Sound 4485992, where the coupling is an equally desirable account of the Peer Gynt suites. They are, however, wrong to credit the LPO as the orchestra; it was the LSO. 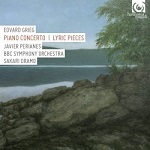 Otherwise the first Andnes recording is still available at budget price, with a small selection of Lyric Pieces and Liszt Piano Concerto No.1 on Virgin 3913692 – review – and his second recording costs only a little more on EMI Recommends 5034192, with the Schumann Piano Concerto – review of earlier coupling. 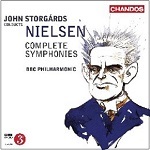 Predictably Nielsen’s music, including his symphonies, is featuring largely in this his 150th-anniversary year. Whereas others have built their series disc by disc, Chandos have boldly gone for a complete set with the BBC Philharmonic under the direction of John Storgårds (CHAN10959, 3CDs for the price of 2 [209:38] – from theclassicalshop.net*, mp3, 16- and 24-bit lossless, with pdf booklet). The grim picture of Nielsen on the cover does this set no favours and in a double review Dan Morgan was disenchanted with performance and recording, too, while Gwynn Parry-Jones thought this a major contender, though refusing, perhaps wisely, to rank it and the other major players. I’m not going to name a ‘best buy’ either, except to note that the 3-for-2 offer brings the price of the download to an attractive £15.98 (mp3), £19.98 (16-bit) or £24.97 (24-bit) and that the CDs can be had for around £23. My own impression of the Chandos set falls somewhere between my two colleagues: I enjoyed hearing these recordings without being bowled over by either performances or sound quality. There’s much to like but ultimately not enough power where it’s called for and the BIS recordings with Sakari Oramo in the seat are preferable. * forget the nonsensical information on the TCS website that Nielsen lived for one year, 1891-2 – what an achievement for a babe in arms that would have been! ** with typically weird logic, Amazon UK charge £15.99 for the SACD/blu-ray set and £19.47 for their inferior low-bit-rate mp3. Even more incomprehensible is the price asked by classicsonlinehd.com (COL:HD) for the 24-bit download: £47.99 and there is no booklet – remember that this is the equivalent of the SACDs and blu-ray which together can be obtained for £15.99. I did, however, enjoy listening again to No.4, The Inextinguishable, from this set, as streamed in good-quality sound from COL:HD. *** In each case the Qobuz is less expensive (£2.39) than the COL:HD (£5.99). Both are offered in 16-bit lossless, without booklet. 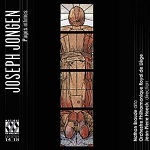 I first encountered the music of Joseph Jongen on a Cyprès CD that coupled his Symphonie Concertante for organ and orchestra with the ubiquitous Saint-Saëns Symphony No. 3 (review). Coincidentally that recording also features the rather fine Liège orchestra. It was also serendipity that led me to this new release, as Hubert Culot’s CD review was in a batch I was preparing for publication. I wasted no time in downloading a copy, which I then proceeded to audition while I worked. This is a gorgeous collection, sensitively played and very well recorded. The four-part Tableaux pittoresques – Le matin dans la campagne, Danses, Paysage de montagnes and Fête populaire – may have echoes of Debussy, d’Indy too, but they are only fleeting. The music has an effortless transparency that’s so disarming; indeed, I had to drop what I was doing and listen, slack-jawed with delight. The harp playing in Danses is a joy to hear and it helps that conductor Jean-Pierre Haeck has the lightness of touch that such music demands. There’s sophistication too, but it’s of a kind that doesn’t call attention to itself. The high-res recording – which comes up on my M-DAC as 24/88.2 – is rich and creamy; one might say that flatters the orchestra, but since they play with such finesse and feeling no gilding is required. Haeck scales it all so well, and climaxes swell and subside with a gentle grace that’s most affecting. There’s jauntiness too, notably in the Fête populaire; the harp makes a welcome return, and is complemented by a startling side drum and triangle. The festivities conclude with a mixture of good taste and good fun. It’s so easy to praise such repertoire with faint damns, but there’s no call for that here; this is highly accomplished writing that brims with invention and character; more important, these musicians and engineers present it in the best possible light. After the not-too-lachrymose Sarabande triste comes Op.48, which is shot through with a pastoral loveliness that will take your breath away. There’s a fragility here, an evanescence, that violist Nathan Braude, captures to perfection. He blends warmth of tone with a haunting line that binds the piece together in a web of pure gossamer. Honestly, if this music doesn’t unseam you nothing ever will. I’ve not heard any of these Musique en Wallonie productions before, but if they’re all this well recorded I want to hear them. I’m not exaggerating when I say this is a demonstration-quality release; balances are perfect, the frequency extremes are reproduced without strain or lack of focus and what lies in between emerges with rare tactility. The album ends with the three-part Pages intimes – Il était une fois, Dansez Mizelle and Le Bon Chîval – which is as airy and elegant as anything here. This is just fabulous; what a find. I’m grateful to my two colleagues for pointing me towards this charming music by a composer whose organ works are all that I knew: memorable it may not be but it’s utterly delightful and performance and recording do it justice. A further search took me to a recording of his Mélodies, Op.25, Deux Mélodies, Op.45, Cinq Mélodies, Op.57 andTriptyque pour orchestre, Op.103, performed by Mariette Kemmer (soprano), Orchestre Philharmonique de Monte Carlo and Pierre Bartolomée on Cyprès CYP1635 [65:15] – sample/stream/download from Qobuz. Herbert Culot made this a well-deserved Recording of the Month and my only reservation about the streamed version is the lack of booklet – just the front and back covers. 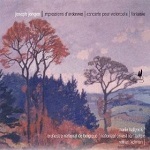 Cyprès have also recorded Jongen’s Impressions d’Ardennes, Op.44, Cello Concerto, Op.18 and Fantaisies sur deux Noëls, Op.24 with Marie Hallynck (cello), Orchestre National de Belgique and Roman Kofman on CYP1634 [65:14]. Another ‘sterling job’ – see review. Sample/stream/download from Qobuz – no booklet. 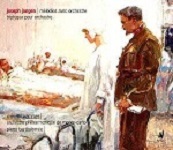 Even when I mentioned Jón LEIFS (1899-1968) Geysir and other music in February 2012 and Dan Morgan reviewed it in more detail in March 2012, I didn’t quite grasp what an impressive recording this is (BIS-CD-830 [55:35] – from eclassical.com, mp3 and lossless with pdf booklet, or sample/stream from Qobuz, no booklet). The power of Geysir is offset by the still energetic but rhythmic Icelandic Folk Dances. Performances from the Icelandic Symphony Orchestra and Osmo Vänskä, recording and booklet of notes are all first-class. It may not have been love at first sight – it’s taken three years and hearing the Dances again on the radio to jolt me into action – but I’m now really sold on this recording and hope to explore Leifs more thoroughly. Much of Leifs’ music is steeped in the Icelandic legends – though the present album is an exception, it’s appropriate that the world serpent of Norse mythology, biting its own tail, should feature on the cover. Edda Part 1 (BIS-SACD-1350 – from eclassical.com, mp3, 16- and 24-bit lossless), Vikingasvar (BIS-CD-1080 – from eclassical.com, mp3 and lossless),Söguhetjur, Saga Symphony (BIS-CD-730 – from eclassical.com, mp3 and lossless), Hafís, which features theGuðrúnarkviða or Lay of Gudrun, from the Edda (BIS-CD-1050 – from eclassical.com, mp3 and lossless) and Baldr (BIS-CD-1230 – from eclassical.com), all with pdf booklet, are candidates for further exploration for someone like myself, fascinated by the Edda and the sagas ever since Professor Tolkien and ‘young Mr. Tolkien’, as his not-so-young son was known, inspired an interest as an undergraduate more than half a century ago. The Chandos recording of Leifs’ Iceland Cantata (1930) and other music (CHAN9433 [53:20]) is now download only – from theclassicalshop.net, mp3 and lossless or sample/stream from Qobuz, both with pdf booklet. Another very fine introduction to Leifs’ music, performed again by the Iceland Symphony Orchestra, this time under Petri Sakari. 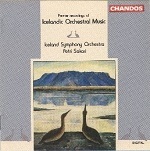 More music by Leifs, the Overture and Marcia funebre from Galdra-Lofti, provides the main interest on another Chandos recording of Icelandic Music conducted by Petri Sakari, again download only (CHAN9180 [63:54] – from theclassicalshop.net, mp3 and lossless or sample/stream from Qobuz, both with booklet). The other music, by Páll ISÓLFSSON, Árni BJÖRNSSON and Karl Ottó RUNOLFSSON is pleasant enough but much less significant, especially when Leifs’ Overture to Galdra-Lofti, but not the 5-minute Marcia funebre, is available on the Geysir album. I recently reviewed a download of Alexander Melnikov and Theodor Currentzis in the Shostakovich concertos. My overwhelming impression was of a run-through, with little of the athleticism and wit that permeates both works. The Dmitri Alexeev/Jerzy Maksymiuk recording on CfP, coupled with a blistering account of The Assault on Beautiful Gorky, has long been my benchmark for these concertos. Now that really does have all the animation and edge that this music demands, not to mention a pleasing inwardness in the slow movements. The recording is excellent, too. I’ll start with the Shchedrin concerto, which is dedicated to the Finnish pianist Olli Mustonen; it has a concentration, a quiet intensity that could so easily seem relentless. That it doesn’t is testimony to Matsuev’s finely graded pianism; there really isn’t much variety of colour or tempo here, but as this is only one of two recordings of the piece that I am aware of – Matsuev also features in the other, from Sony – so it’s not as if one’s spoilt for choice here. It certainly isn’t the easiest listen, but I found the piece yielded more on repeated hearing. So, be brave and stick with it. 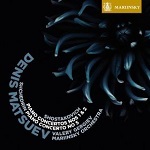 I’ve not heard Matsuev before, but I’m familiar with Gergiev’s sometimes erratic Shostakovich. In my recent review of his Mariinsky recording of the 9th Symphony I felt he fundamentally misjudged the tone of the piece (review). Listening to this dark-toned – even murky – account of the First Concerto I did wonder if the same was happening here. It’s a valid view, I suppose, but if you’re accustomed to the spontaneity of Alexeev and Maksymiuk or the infectious but ageing Previn and Bernstein on CBS/Sony you’ll find Matsuev and Gergiev desperately short of lightness or laughs. Alas, the trumpet playing is as po-faced as any I’ve encountered, and Gergiev pulls the music about in a way that’s both unsubtle and unnecessary. Not only that, he plays fast and loose with dynamics; and the less said about Matsuev’s brash, self-regarding finale the better. The pianist’s phrasing in the Second Concerto is even more attention-seeking and Gergiev is a dutiful accompanist rather than an inspired one. As for the recording it’s very close and airless, with an ill-defined bass and a strident treble. In short, this release – with the possible exception of the Shchedrin – has little to recommend it. Compelling Shchedrin, dire Shostakovich; stick with the classic versions. LYRITA SRCD.349 [67:56] – from emusic.com (mp3, no booklet). Sample/stream from Qobuz (no booklet). I wish I had read even the punch line of William Kreindler’s review, with the ominous words ‘dissonant style’ before paying good money for this: unfortunately it was posted a day too late. Thinking I might have a discovery of the month, I didn’t even sample first from Qobuz. I expected much of the Roma symphony, but I should have remembered the traffic jams and resultant noise because that it what is depicted. Not for me, I fear. At least it cost me only £2.10. It’s irrelevant because I shall not be playing this too often, but it’s one of the recent downloads which emusic.com have been putting out at 320kb/s – now may we have lossless and pdf booklets, too, please? 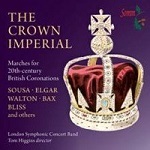 The Crown Imperial is a collection of music written for twentieth-century coronations in arrangements for wind ensemble, very ably performed by the London Symphonic Wind Band, an assembly of top players, directed by Tom Higgins (SOMM SOMMCD138 [67:55]) and available as an mp3 or lossless download from theclassicalshop.net. Excellent performances and recording, but I have one significant grumble – there’s no booklet and the details given on the TCS web page misleadingly list the arrangers rather than the composers. Sample/stream from Qobuz, but there’s no booklet there, either. I’m not surprised that Raymond Walker made this one of his Recordings of the Year. 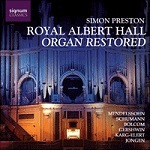 I hadn’t expected to find Simon Preston playing George GERSHWIN, but he does just that in the form of Howard Cable’s enjoyable concoctionThe Brothers Gershwin on his 2006 Signum recording Royal Albert Hall Organ Restored (SIGCD084 [74:24] – review – from hyperion-records.co.uk, mp3, 16- and 24-bit lossless, with pdf booklet). The rest of the programme consists of more serious fare – SCHUMANN’s Six Fugues on B-A-C-H and music by MENDELSSOHN, BOLCOM, KARG-ELERT and JONGEN – all very well performed and well recorded: the 24-bit, though ‘only’ 24/48 is particularly good. Having missed this when it appeared I’m pleased to catch up via the download. If you want to try it first, sample or stream from Qobuz. At the other end of Simon Preston’s repertoire, his DG Archiv recording of Early English Organ Music (4156752) is available to sample/stream/download from Qobuz, though, at £11.56, it’s not inexpensive, especially as it comes without a booklet and the CD, manufactured under licence, can be obtained from prestoclassical.co.uk for £12.75. Presto also offer mp3 and lossless downloads for £8.89 and £11.11 respectively). The interpretation of ‘early’ is somewhat eclectic: there’s music here from William BYRD to Samuel WESLEY: Trevor Pinnock guests in Wesley’s duet. The organs employed are the Jacobean instrument at Knole House and the 18th-century 3-manual organ at Armitage. The discovery for me is not of the music but of the singer Ana María Martínez, whose Naxos recording of Soprano Songs and Arias I hadn’t encountered until I heard my brother-in-law streaming the Deezer version of the final track, the Villa-Lobos Bachianas Brasilieras No.5 and, at first, thought it must be a refurbished transfer of Victoria de los Angeles. Yes, it is that good, and I see that Göran Forsling – Recording of the Month – and Evan Dickerson thought so too. That was all of nine years ago, so I’ve been late catching up, but that’s the beauty of DL News. The lossless streamed version from COL HD:LL sounds much more secure than the Deezer version – download there for £5.99 or sample/stream/download for £4.79 from Qobuz. Both give the booklet. (Naxos 8.557827). I hope to explore some of Martínez’s many other recordings in future editions. For the moment let me say that I greatly enjoyed her in PUCCINI’s Manon Lescaut with Andrea Bocelli and directed by Plácido Domingo, a recent release, heard as streamed from Qobuz, where non-members can sample and whence it can be downloaded in 16- or 24-bit lossless sound, with booklet (Decca 4787490). It wouldn’t be my first choice – perhaps that should be Freni and Pavarotti at mid-price (Decca 4783053), with an alternative bargain choice from a Naxos recording directed by Alexander Rahbari (8.660019/20) but I shall be returning to it.